LRT-1 private operator Light Rail Manila Corporation (LRMC) announced that it has generated a total of 24 varied mobile solutions to improve customer experience, ranging from trip planning, customer feedback management, wayfinding and passenger security. Click here to watch the Hack Day Vlog! 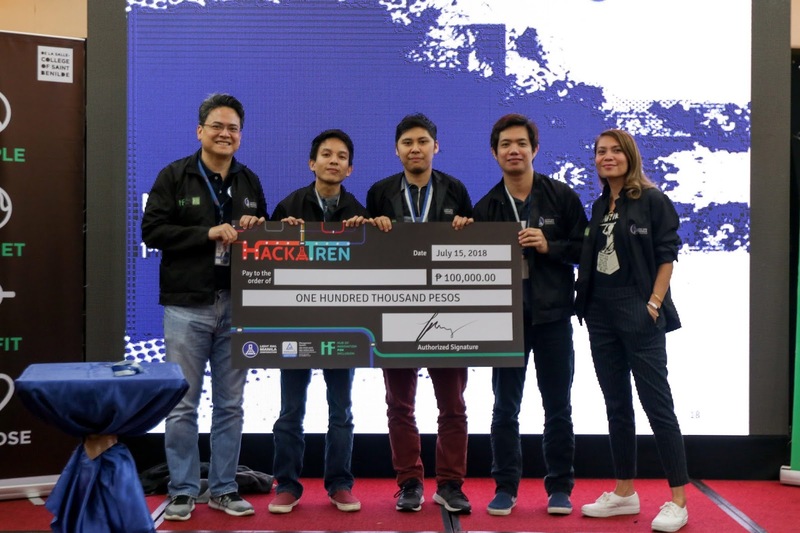 At the recently concluded HackaTren 2018, a hackathon or programming competition for software solutions and applications, LRMC President and CEO Juan F. Alfonso stressed the important role of customers in improving the commuting experience in Metro Manila. “Over the last two years, we prioritized getting LRT-1 back on track with more trains, more trips and shorter queueing time; there’s a lot more work to do and we want our customers involved in this journey of improving their commuting experience,” he said. Team NyxDev, comprised of system developers Daniel Quiming, Jet Alcantara and James de Perio won the top prize with their Tara! Customer Experience Management System which features trip planning, wayfinding, customer feedback management, rewards system and advertising using technologies such as RFID and augmented reality. Runners up were AR Botics with their proposal CommutAR, an Augmented Reality (AR) platform which provides users with trip and tourism information, and the National Teachers’ College with their Light Manila app for trip planning and online purchase of tickets. Organized in partnership with the De La Salle-College of St. Benilde Hub for Innovation for Inclusion (DLS-CSB HIFI), Hackatren hack day is scheduled July 14 to 15, 2018 with 252 participants developing on site and presenting working prototypes of their proposed solutions. To ensure customer-centric solutions, the DLS-CSB HIFI has earlier oriented the participants on the design thinking process, where the “trifecta for innovation, namely desirability, feasibility, and viability,” were reiterated for the programs and IT solutions to be presented on the hack day. “This will guide the participants in solving the pain points, building on core operational capabilities, and contributing to long-term growth,” Alfonso said. Some of the challenges provided to the participants included: how commuting experience can be more entertaining and relaxing; how to leverage technology to make commuting a social activity; how to make LRT-1 as a top-of-mind alternative for commuters to beat traffic; how to provide a more relaxing LRT-1 experience for tired and weary commuters; how to provide opportunities for commuters to schedule their ride effectively so they may arrive to their destination on time; and how to make LRT-1 work-friendly so people will be able to use their time productively while commuting.